You can now help us provide specific athletic wear needs for our athletes by using RightGift. An online registry of wish lists for non profits. Street2Feet and its athletes thank the local businesses, organizations and individuals that participate in our donation program. 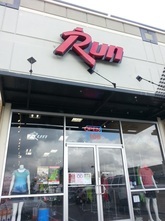 We accept new or used running shoes and apparel, as well as new insoles and socks at our drop off locations below.